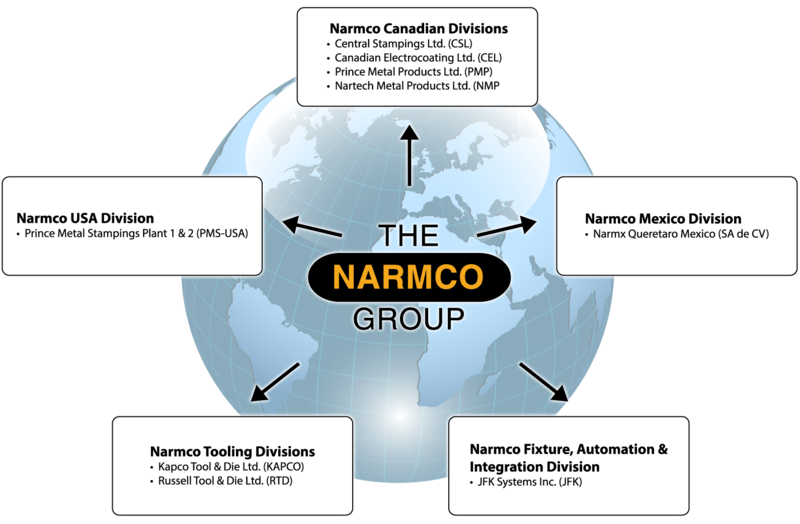 The NARMCO Group is a leader in the Automotive Industry for Metal Stampings and Assemblies. NARMCO supplies customers with competitively priced, high quality and dependable serviced Metal Stampings, Roll Forming, Modular & Mechanical Assemblies, and Coated Products. 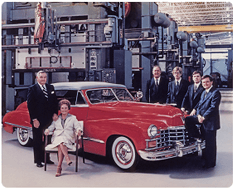 Founded in 1945 by Matthew Rodzik, this privately held Canadian company has grown from its original start of National Auto Radiator Manufacturing Company Limited into a family of 9 companies throughout Canada, United States and Mexico. We now offer over a million square feet of manufacturing space with facilities strategically located to service all of our customers’ needs. In the beginning, National Auto Radiator provided replacement radiators to meet the market demand, and then quickly advanced by expanding to produce fuel tanks, hood panels and our specialty deep draw stampings including oil pans, and modular assemblies. Since 1980, Matthew’s sons, Don and John Rodzik, have provided leadership in the capacity of Chief Executive Officer and Chief Operating Officer. Today along with a third generation management team in place (Amber, Donald, Jeffery, Jonathon, & Matthew) they have formed a team of working partners who are actively involved in daily operations in all corporate disciplines. This winning combination which breeds productivity, continuous improvements and quality in our work force, will ensure the growth of the organization with strongly effective succession plans. The NARMCO Group not only provides an end product to the customer but is also a Full Service Supplier with complete capabilities in design, concept & part development, prototype, simulation services, program management, tool design & build and fixture & equipment build, metal stamping, roll forming, modular assemblies, E-coat painting and powder coat paint. With over a million square feet of manufacturing space in facilities strategically located to service all our Customer’s needs, NARMCO continues to grow and support our customers with superior quality, excellent service, competitive pricing, and on-time delivery. 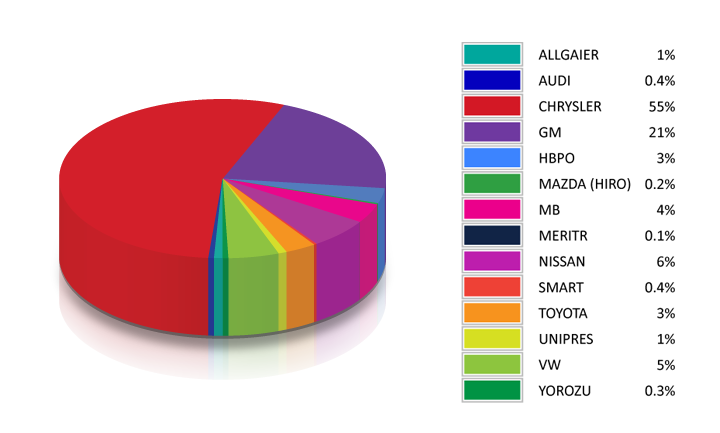 Our history is vast, , our goal is to continually improve, our practice is to invest, and our desire is to succeed. As a full service supplier to the automotive market, NARMCO’s goal is to posses all the manufacturing capabilities and latest technical resources that are required by our Customers to provide the best in class products and services that meet or exceed their expectations. Prince Metal Stamping USA Inc.
Russell Tool & Die Ltd.